Humans have always exhibited resistance to the natural aging process. That proverbial Fountain of Youth is something we’ve been talking about for hundreds of years. In the 21st Century alone, we’ve come so close to that fountain that we can feel its mist. Lines and wrinkles are hardly a concern anymore. We can postpone their arrival and even reduce their appearance once they have developed, with simple, non-surgical treatments, in most cases. There are several anti-aging treatments that are well-known; but did you know that your smile might still be aging you? Throughout history, one of the ways that a person’s age could be assessed was the condition of his teeth. Younger adults usually had all of their natural teeth, and these teeth were relatively white and healthy. The older a person was, the more tooth that showed. Also, teeth were dull, at the very least and badly discolored at worst. Times have changed, but our natural inclination to perceive stained teeth as “old” has not. Maybe you’ve started to notice that your teeth aren’t so white anymore. Maybe they’ve been on the dull side as long as you can remember. If the color of your teeth is something that stands out – and not in a good way – we can help you. If you’re starting to think about how you can age more gracefully, we can help you. Teeth whitening treatment has been proven to take up to 10 years off a person’s face. Why not have that face be yours? 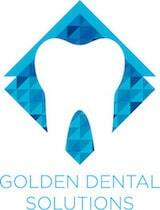 Teeth whitening is a professional treatment that can be conducted in our Golden, CO office or at home. In some cases, a combination of the two may be recommended. However, in most cases, patients can choose whichever method they prefer. To have us whiten your teeth with the Zoom! Chairside treatment may be more convenient, and it’s certainly the best option if you’re in a time crunch to get a more radiant smile. Whitening at home using the KöR Whitening Deep Bleaching System is also a great option. This allows you to whiten at your own pace, and also to have the equipment you will need to maintain your smile with occasional touch-ups. Looking younger has never been this easy. Take advantage of the benefits of teeth whitening by scheduling your treatment in our office at (303) 277-9600.